Indian banks are becoming smarter by the day, and are not afraid to try out new means to assist customers. HDFC Bank had recently announced the launch of a humanoid robot Ira in some of its branches. Now it's the turn of India's largest public sector bank to show its technology chops. 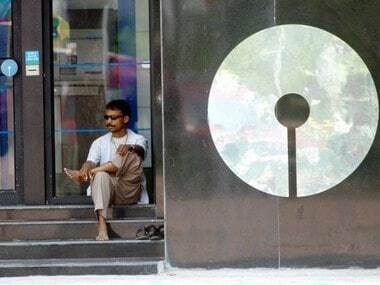 State Bank of India (SBI) is currently beta-testing its intelligent assistant called SIA — SBI Intelligent Assistant. SIA is a chatbot which is aimed at handling customer queries and help guide them through the various retail products and services offered by SBI. SIA works on artificial intelligence and is an effort by SBI to identify work processes that can be transferred to robots so that human resources can be more creatively used. The SIA chatbot has been developed by Allincall, a startup backed by IIT Bombay. It makes use of machine learning and bot experience to be able to respond to customer queries. Using technology for its services is not new to SBI. According to NDTV Profit, SBI has claimed in its blog that platforms such as SBI inTouch do indeed use bots and AI such as IBM Watson to get work done and improving customer experience. According to SBI, around 80 percent of the bank transactions are done via machines. SIA has been made to help answer customer queries when it comes to home, education, car and personal loans along with recurring and term deposits. Speaking to Financial Express, SBI deputy MD and chief information officer Mrutyunjay Mahapatra said, "Most of the time, customer touchpoints with the bank are for three things — sales, service and enquiry. We found that for enquiry and navigation, a customer has to navigate quite a bit or go to call centres, where the agent may not be fully knowledgeable." It is to ease the process of finding solutions to their queries that SBI has release SIA. There are no details out on when SIA will be rolled out for the general public.